Search Engine Optimization (SEO) is a necessity for a business to be found online. If your at the top of search engine results already for the search terms you want, you can be assured that your competition is either currently trying to get those rankings from you or they will be starting soon. The best way to get found in Google and Bing search results and increase your qualified site traffic is to have an active SEO plan in place. Unlike just a few years ago, SEO has become a very in depth process. SEO is no longer limited to keeping your site updated. It goes far beyond into creating content regularly, engaging your audience using Social Media, Digital PR, and keeping your site within Google’s Quality Content Standards…all while remaining competitive in your industry niche. Proper SEO strategies begin with ensuring your site is working properly and serving the content you want to search engines in the way you want it found. This begins down at the server level, ensuring your site speed is fast. It also goes into on and off page site optimization, ease of user navigation, and creating pages that ensure visitors are staying on your site. A strong On/Off Page Optimization plan can increase your site’s relevance in search, therefore increasing your site’s ranking and page rank. 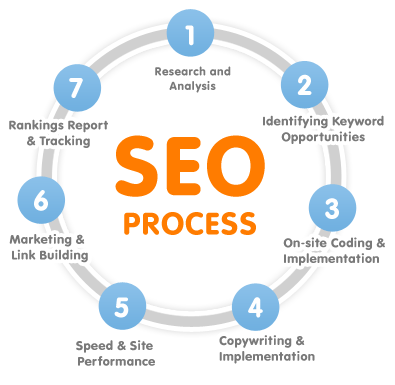 SEO Authority is a very involved process. It’s creating regular content to engage with your audience, attracting traffic to your site for various reasons. Whether it’s creating and growing your social presence, backlink management and expansion, utilizing Digital PR, regular blog articles, creating engaging video content and using a YouTube channel…or a mix of these and other strategies, creating authority will provide long term benefits. Below is a very in depth chart of the major factors taken into consideration by Google when their crawling your site. Are these items on your radar? Do you have a solution in place to address these items? And most importantly, are you beating your competition in moving forward with a proper SEO initiative?